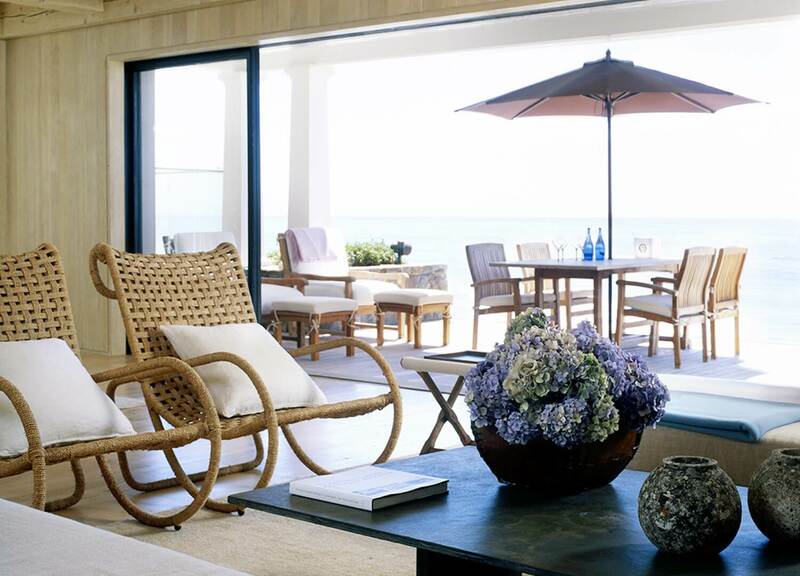 If you thought the idea of living on Southern California’s Malibu shores sounded heavenly, then this Carbon Beach House will capture your attention just as did it for us here at est. 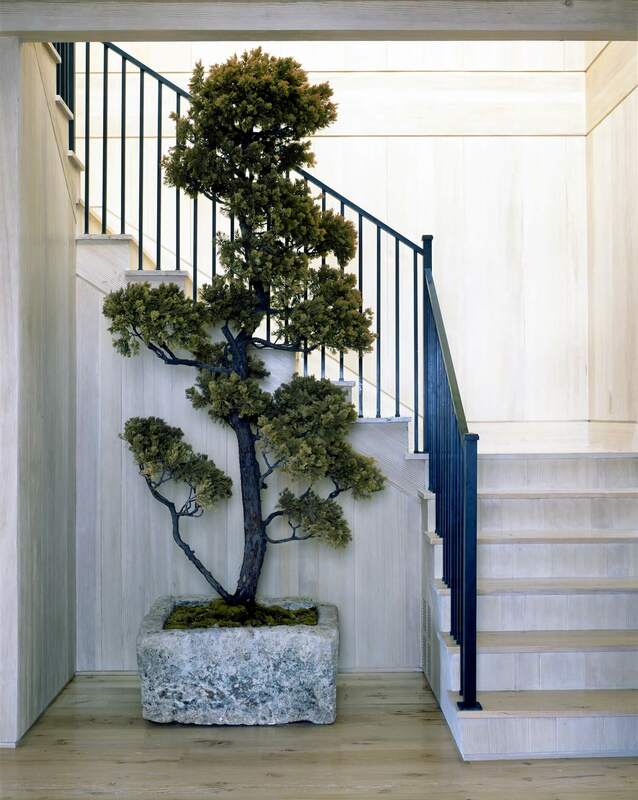 Interior Designer Denise Kuriger has seamlessly created a home where the clients can have a true experience of living on the Pacific coast in both location and design, providing a reprieve from the bustling commotion that is Los Angeles. 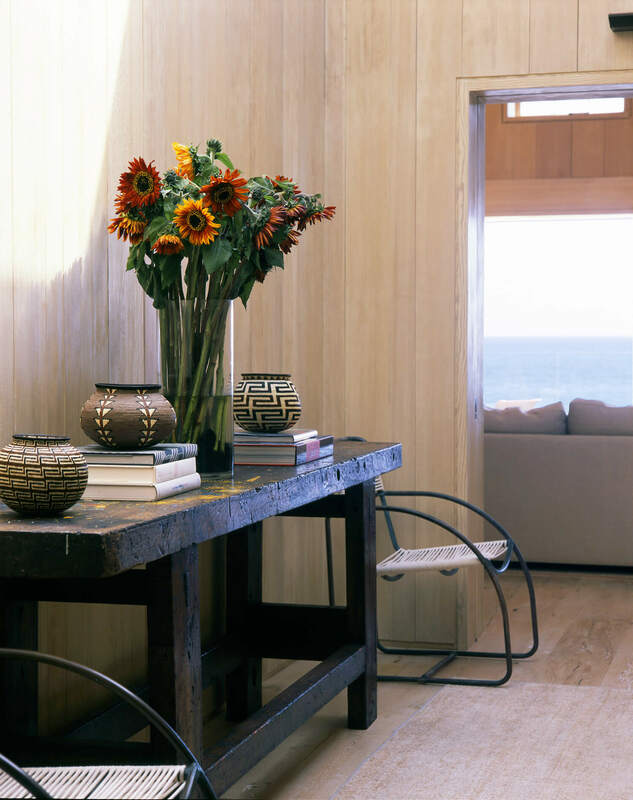 Keeping with the emphasis on natural tones and elements that was on show in her recent Malibu project, Denise Kuriger drew on a pared-back palette of predominantly raw materials to complement the picturesque scenery. 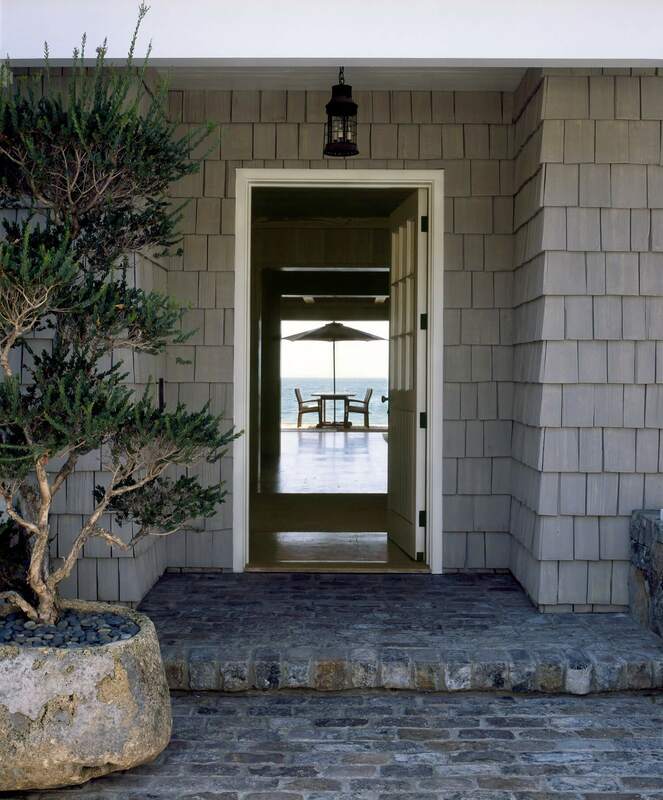 Mirroring the surrounding views of the coastal shoreline, materials such as unbleached linens, stone, hemp and wood have been used as an extension of the natural environment that act as a backdrop as the client’s backyard. 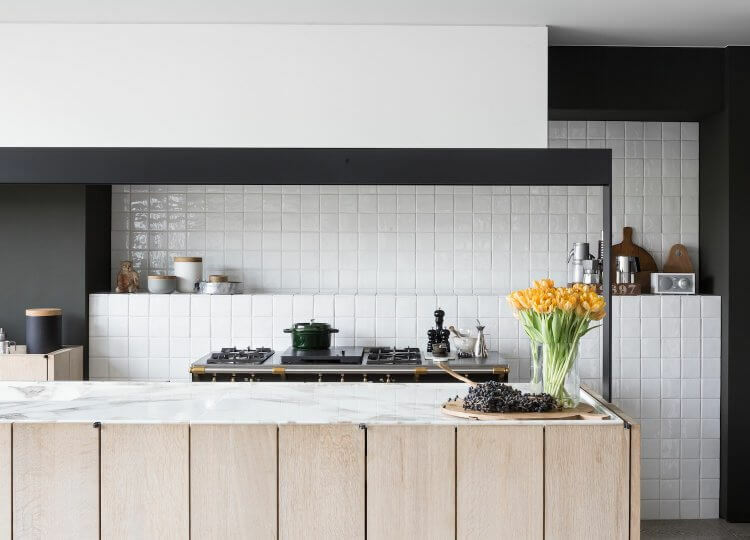 The overwhelming use of various types of bleached timbers throughout create a seamless flow between the differing pockets of the home. 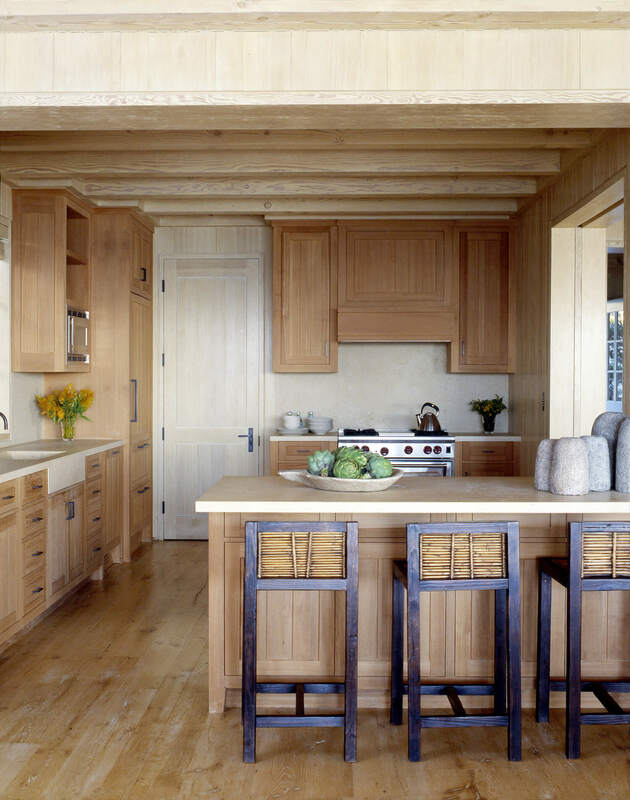 The walls, ceiling, floor and cabinetry are lined with a combination of reclaimed washed white oak and pale wood to absorb the Malibu sunlight and evoke a calm and relaxing ambience. 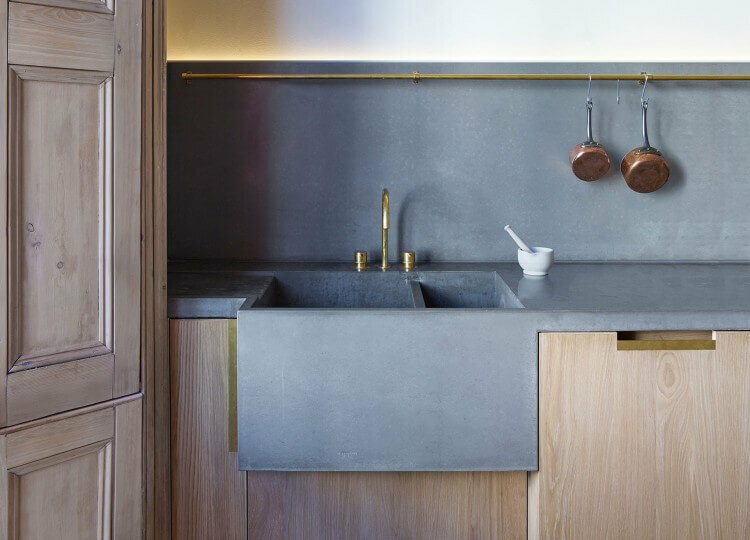 The refreshing palette and materials pay respect to the surrounding environment and allows the interior to be unobtrusive of its surrounds. It’s clear that this home was created to be a complete indoor-outdoor house, and reasonably so – who wouldn’t want to maximise those views and the beach backdrop? 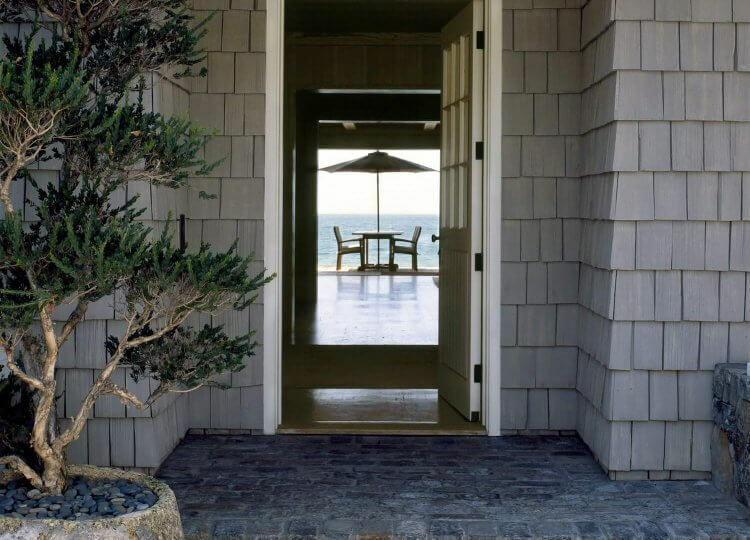 The architect has done just that by installing wall-size glass pocket sliding doors on both sides of the home to completely opens up the space, allowing the clients a full panoramic view of the Malibu coastline. With a view at almost every angle of the home, this home makes for the perfect entertainer’s delight or getaway retreat. Spilling out onto the porch is an outdoor entertaining and living area overlooking the bay, encouraging the outdoor lifestyle the clients sought after. 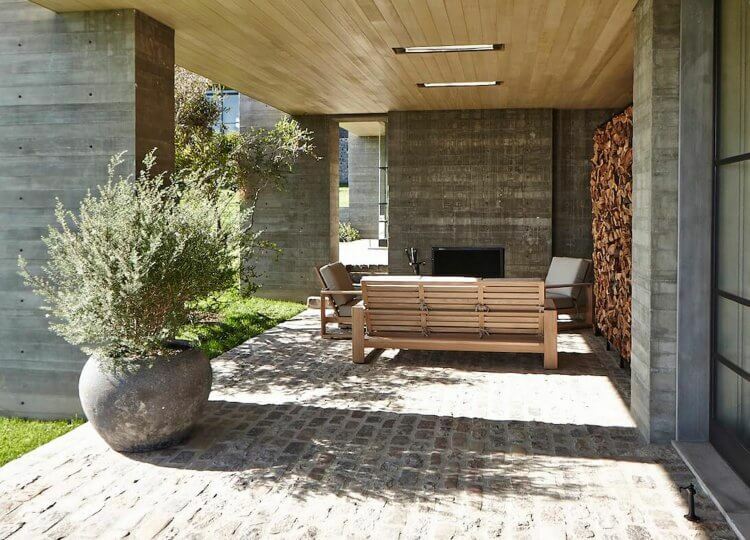 With minimal furniture and the perfect balance of elegance and unrefined detail, the outdoor spaces act as a haven for the clients to escape to after busy day, returning to the office refreshed and rejuvenated. 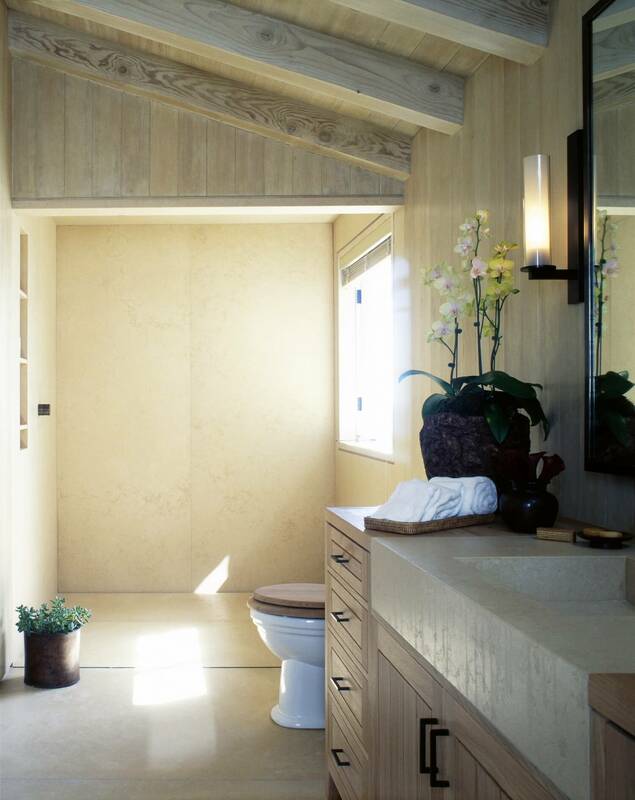 By allowing the natural beauty to filtrate through the interior, a sense of zen is never lost – in fact it’s further emboldened by the addition of greenery and native floral adds life and balance within. 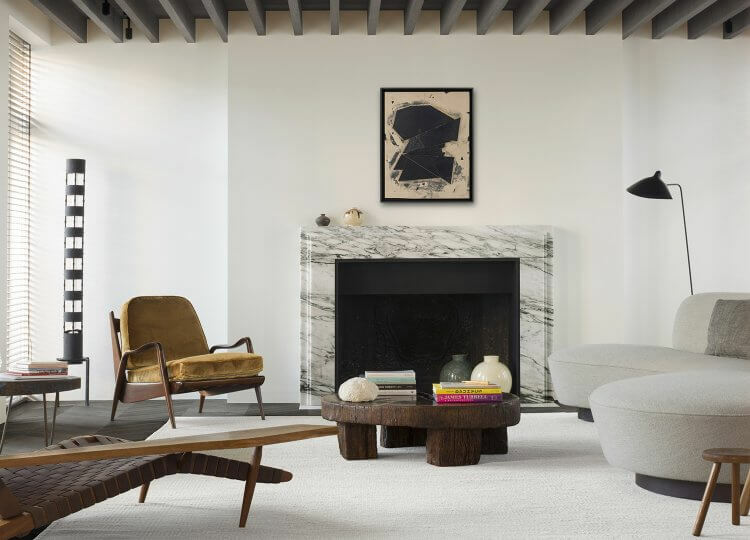 The mixture of natural materials, a neutral palette and refined design has created a home the clients may find very hard to leave.